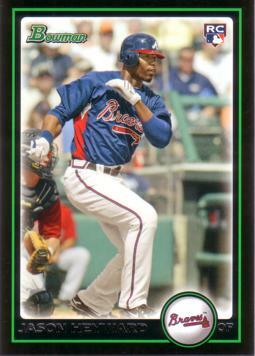 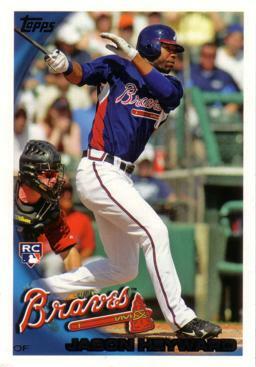 This is an authentic Jason Heyward Autograph Baseball Rookie Card produced by Bowman Chrome in 2010. 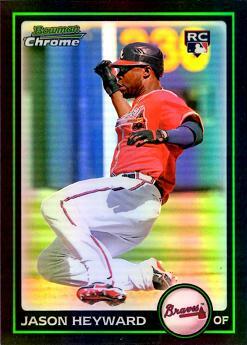 The bottom of the card reads "Topps Certified Autograph Issue. 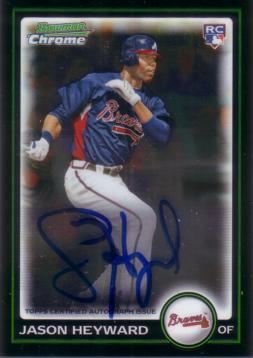 ", guaranteeing the signature is authentic. 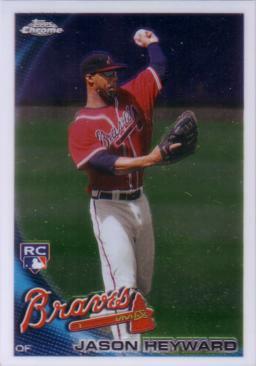 And this card features the "RC" logo in the upper right corner, indicating that this is a true rookie card.